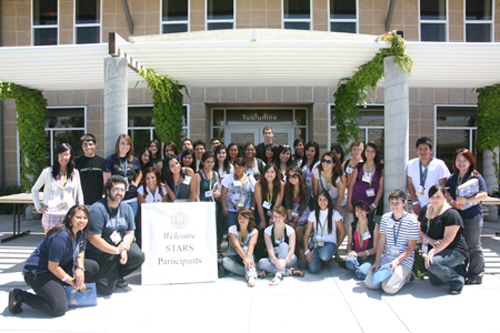 UC Merced Conference & Event Services offers a variety of options for overnight accommodations from orientation housing to conference group arrangements. We make it our mission to ensure that you have a comfortable, safe, and enjoyable stay with us. Each room contains a bed, desk and chair, drawers and closet space for each guest. Buildings are wired for high-speed internet access through Ethernet ports. Wireless internet is also accessible through UCM Guest Wi-Fi. Rooms require hard key access and a Cat-Card to gain entry to the building through exterior security doors. These buildings are located closest to the Yablokoff-Wallace Dining Center, the residential dining facility and the academic buildings. It contains suites of fully furnished triple rooms. Every two suits are conjoined by shared private bathroom. They also offer a variety of comfortable lounges with soft seating on each floor. Tenaya Hall and Cathedral Hall are four-story buildings viewed at the entrance of campus. 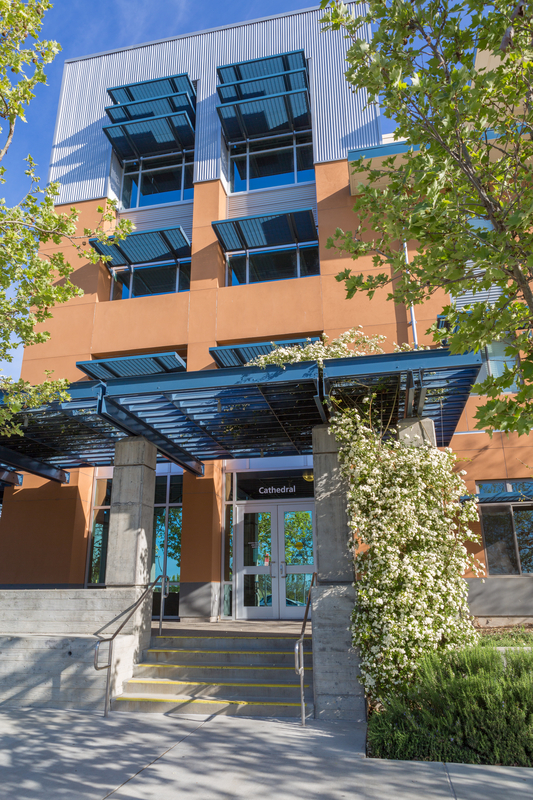 Each of these halls offers a traditional corridor-style residence hall experience with five bedrooms sharing a single gender community restroom. Our amazing custodial staff will work with the residents to maintain the cleanliness of the restrooms and public areas. 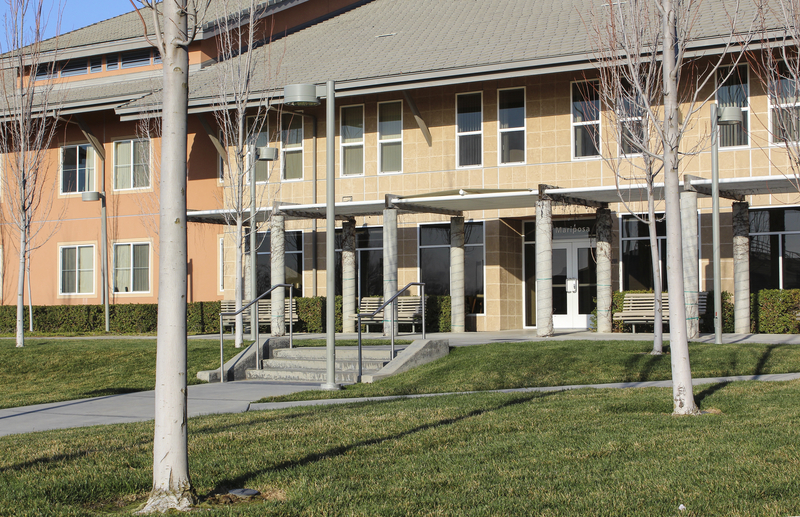 Half-Dome is the newest in UC Merced’s family of Residence Halls. The hall offers views of Lake Yosemite and is within 10 minutes walking distance of the reservoir and surrounding park. It features five floors of corridor- style rooms that share single gender community restrooms. Each floor offers a variety of room options with the majority being triple or quad occupancy. Several single rooms are available in limited numbers. 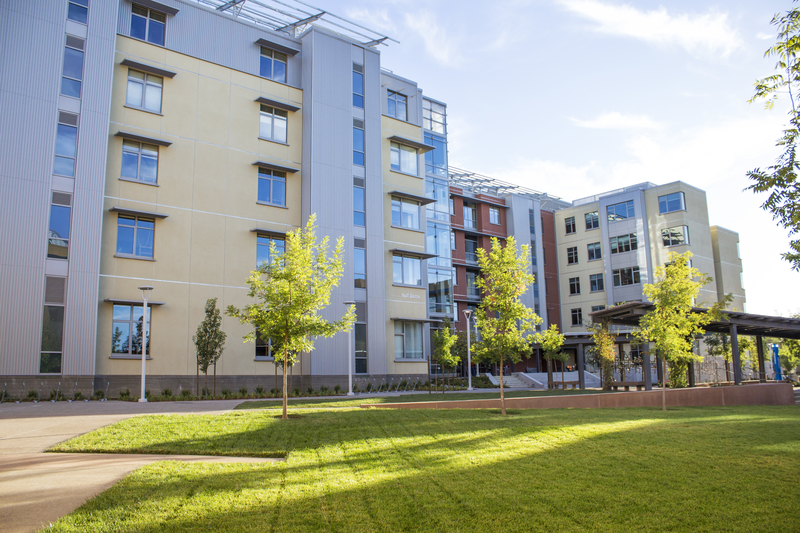 The Valley Terraces, made up of nine magnificent two-story apartment-style suites and home to continuing students, opened in fall 2005 with housing for approximately 600 students. Each suite includes a common living room with two or three double occupancy bedrooms and shared restrooms for four to six students. A limited number of singles are available for mainly Resident Assistant staff and continuing students. We are located in the Half Dome Building exterior room 195. Our Front Desk will be happy to offer directions when navigating the campus and can answer many of the questions you may have about Housing & Residence Life or Conference Services. The front desk is also the location for check-in and checkout services, extra linen supplies, recreation equipment checkout, and key replacements. 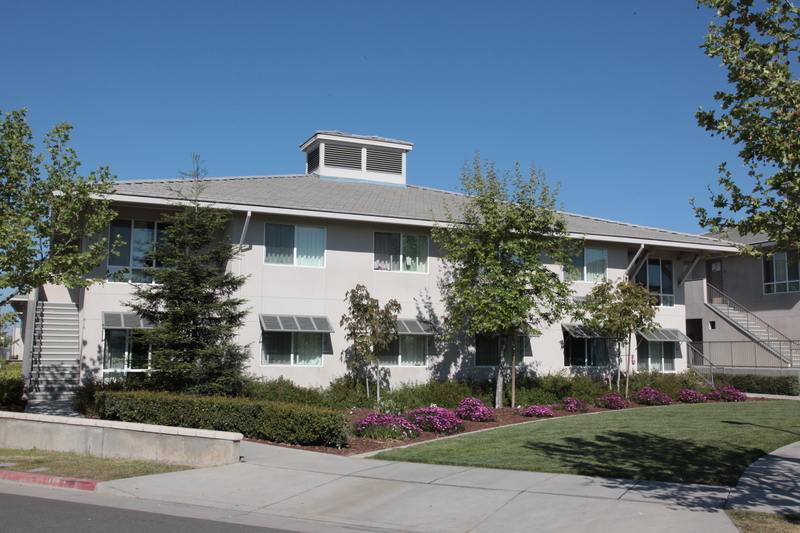 Checking in and out for summer conference housing is a quick and easy process that occurs in the Half Dome 195 Office. During Check-In you will be greeted by a Conference Assistant who will provide you with keys and an access card to the building in which you are staying. Our friendly housekeeping staff work diligently to keep housing areas clean and tidy. Light housekeeping service is provided on Wednesdays between 10:30 am and 3:00 pm for those guests staying longer than seven (7) days. Parking on weekends and after 6:00 pm is completely free. Parking passes can be purchased from Transportation and Parking Services (link to taps) or at designated kiosks in each parking lot. Electronic access cards restrict entry to residence halls. Residence halls are patrolled by the Community Service Organization (CSO) in cooperation with the UCM Police Department. Emergency phones are located strategically throughout campus. In an emergency, press the button on the phone and it will connect you directly to UC Merced’s Department of Public Safety Dispatch. Emergency procedures and evacuation maps are posted on the back of each bedroom door in each residence hall.